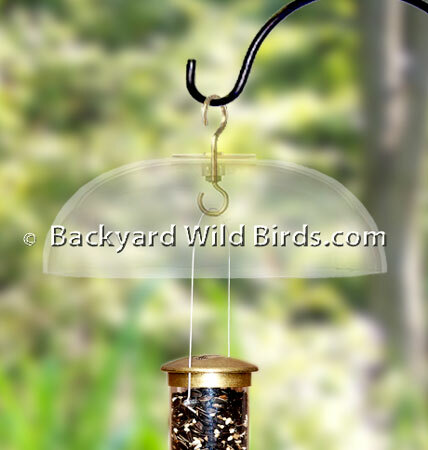 The Bird Feeder baffle is most useful with tube, suet or hummingbird feeders. 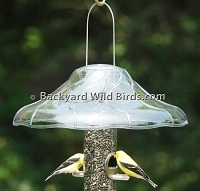 The Bird Feeder Weather Dome baffle should be used with a pole system to protect your smaller feeders from rain and snow. It has a 12" diameter dome and is made of UV stabilized polycarbonate and brass hardware. Carries manufactures lifetime guarantee.